Dilini wanted to start the Access class at LWEI but had to start in the Foundation class because of her low English skills. After completing the foundation class she had made such progress that she could skip the Access class and start with the Achiever class. Dilini says that the certificates she obtained at LWEI were one of the reasons she was accepted at the international school where she studied. Here she studied agriculture. Dilini is currently working as a production assistant at the government of Agriculture in Colombo. The first thing that pups up in her mind about LWEI was Mr. Dinesh Abeynayake. He was such a good headmaster and very cute. The second thing was the community day where she and her fellow students helped cleaning a nearby temple. This was such a great experience because everyone worked seemly together and it was very appreciated by the monks. She says LWEI is a very different school than other schools in Sri Lanka but that makes it the best thing about the school. She specially wants to mention that all teachers were very friendly as well as all her classmates. She not only met her best friend Thilini at LWEI, but also her husband Mallan Racanta. Because of the English her husband learned at LWEI he is now working in Dubai. 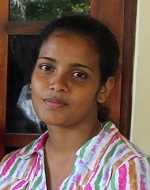 Thilini is 22 years old and comes from Maha Induruwa. With 2 sisters and 2 brothers who are in school or doing further education, Thilini received a scholarship which made it possible for her to take the Application Assistant, Achiever and Achiever Spoken courses. She especially improved her grammar and speaking skills at the Institute. In May 2014 she starts nursing school in Galle and her dream is to work abroad. She believes that the English and IT skills she learnt at the Lideke Wery Educational Institute will help her make this dream come true! 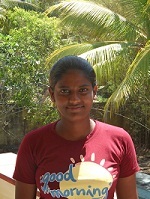 Sandun is currently working at an insurance company, after completing the Achiever and Achiever Spoken courses in 2011. Sandun worked abroad in the Middle East before he came to the LWEI, but there he found that his English was not good enough to speak with foreigners. The fact that the Achiever Spoken course is taught by a foreigner was an important feature for him. Now Sandun feels comfortable speaking English to foreigners and he can understand them well, even when they have different accents. Also, he learnt how to make a good CV and how to do well in a job interview. In the near future, he wants to work abroad with foreigners again. The first thing Samanthi remembers from her time at the LWEI was that the teachers were very friendly and had a lot of knowledge. In general she remembers LWEI as one of the happiest times in her life. 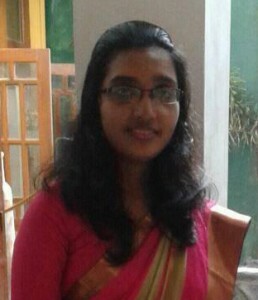 After successfully finishing the achiever course she went to the University of Kandy to study web designing. Soon after this she found a job as web designer in Kollupitiya. She is very happy she followed the English course because often she has to communicate in English with different clients. The best memory Samanthis has from LWEI was the day all students went helping at the local temple. Next to that all the nice teachers. The teachers she remembers best are Mrs. Niluka Liyanage and project coordinator Mrs. Irene Sleven. Miluka was very qualified and kind and learned her a lot. Irene was as very friendly person and she liked her very much. Madushan followed the Access and Achiever classes during his time at LWEI. He was a student during 2011. 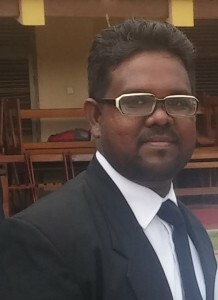 After successfully completing the courses at LWEI Madushan started a course at the Institute of Engineering and Technology in Katunayake. With this degree he found a job as engineer at Airtel, a large telecommunication company. For this job, the English skills he learned at LWEI, are very important because the company has a lot of foreign clients. He often has meetings in English which he could not do without his certificates from LWEI. The best thing that Madushan remembers was the 5th year anniversary. He and a group of fellow students were involved in organizing the get-together for the old students. He learned a lot while preparing for this event and also had a lot of fun. Madushan also remembers the community project where they helped the monks cleaning and repairing the temple for one day. It felt very good doing this for the community. Finally Madushan wanted to say that the teachers were very good. Especially teacher Mrs. Niluka Liyanage was very supportive and even when he left the institute he kept in touch with her. Furthermore he remembers Mrs. Akushla De Silva as a very nice and good person. 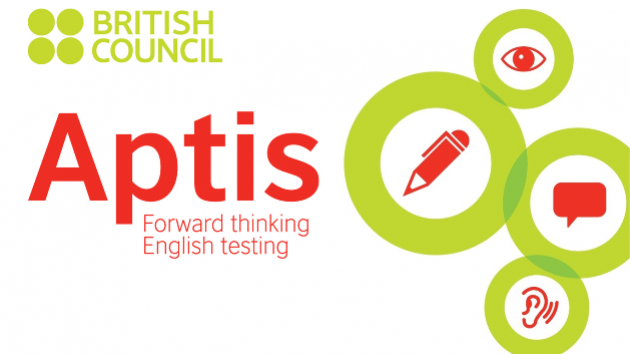 Four years ago Beenu started with the Achiever English course at LWEI. She remembers being very nervous at the beginning of the class. But it soon disappeared when she met the nice teachers. Even until now she has never been on a school with such friendly people. After the courses at LWEI, Beenu continued her studies at the University of Sri Jayawardenapura were she is now a graduate student. She could have not achieved this without the English she learned at LWEI. At the university all materials are given in English. Next to her study it also enables her to have friendly conversations with foreigners instead of only the basic communications that you often see. Beenu remembers the teachers very well. Especially Mrs. Niluka Liyanage and Mr. Ranmal Laantha who was teaching ICT. And not to forget Mrs. Saskia van Lier who learned her the right pronunciation. Furthermore teacher Mrs. Irene Sleven did not only learn her English but also some acting skills. She is very thankful for that because she used them at several points in her life. Finally she wanted to say that Mr. Dinesh Abeynayake was a very good headmaster. In Beenu’s opoin the institute is perfect as it is and nothing should be changed. By keeping it like that she is sure that all new students will have a wonderful time. Next to the English she learned at LWEI she is also wanted to thank the institute for the great friends she has now. She still makes a lot of trips together with them all over the Island. Subash travelled each day from Ambalangoda up and down to the institute. He started as a Foundation student. After completing the Foundation course he continued with the Access class. When he successfully passed the Access class Subash joined the Sri Lankan Airforce School. He chose this education because he wanted to serve his country. Currently he is appointed as a security officer within the Airforce with the main task of securing events and locations. Subash says the English he learned at LWEI is of great value for him now. Before LWEI he could only speak a few words English, but now Subash is able to communicate with foreigners at his job as well as during his daily life. He finds this skill extremely valuable. The first thing Subash remembers about LWEI was the two trips they made during the classes. On one trip they went to Galle and at the other they went to Kukulegaga waterfall. They had a lot of fun during these trips which made it days he will never forget. When Subash thinks back about the rest of the school he remembers his teacher Menik, who was also the sister of a friend of him. She was a very good teacher as well as all other teachers at the institute. Menik was also the sister of a friend of him. In general he says that the school was perfect to learn English and ICT. 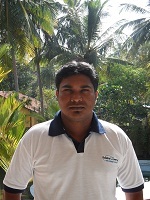 Currently Subash lives happily in Ambalangoda together with his wife Shanika Sewwandi in Ambalangoda. They met each other during the classes at LWEI. After his highschool, 4 year ago, a friend informed Prabhath about LWEI. Because of the low course fees he signed up for the Access English course as well as the ICT course. After LWEI Prabhath followed an engineering course and ended up in the Sri Lankan Army. He says his English is very useful in his current job. His immediate memory about LWEI was the very friendly and kind teachers at LWEI. Prabhath thinks that the course fees at the time were a bit too high to persuade some of his friends to join the LWEI. He was very delighted to hear that the courses are now offered for free. New: flexible courses in batch 2 (May – August) – possibility to go 2 or 3 days to class instead of 5! Ideal if you have to work on weekdays or if you have other obligations.